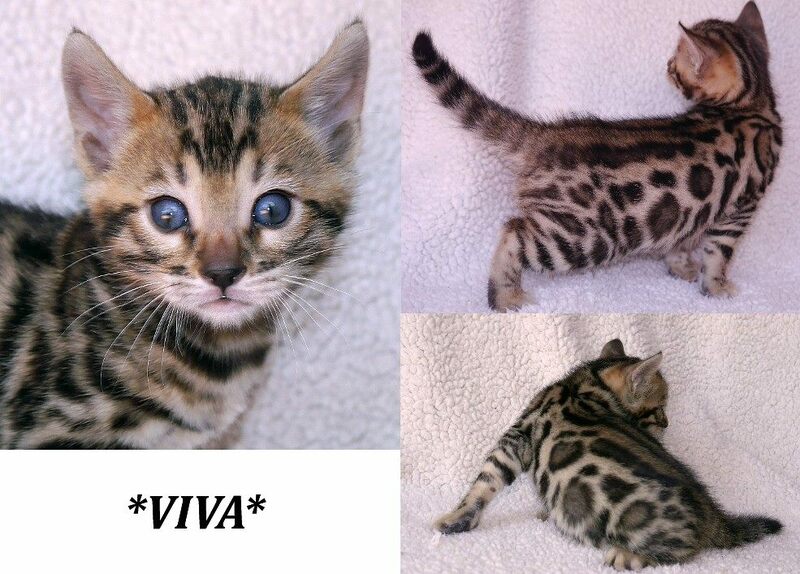 Viva is a beautiful Bengal Kitten, with nicely contrasted brown rosettes. She has a very sweet and loving personality. 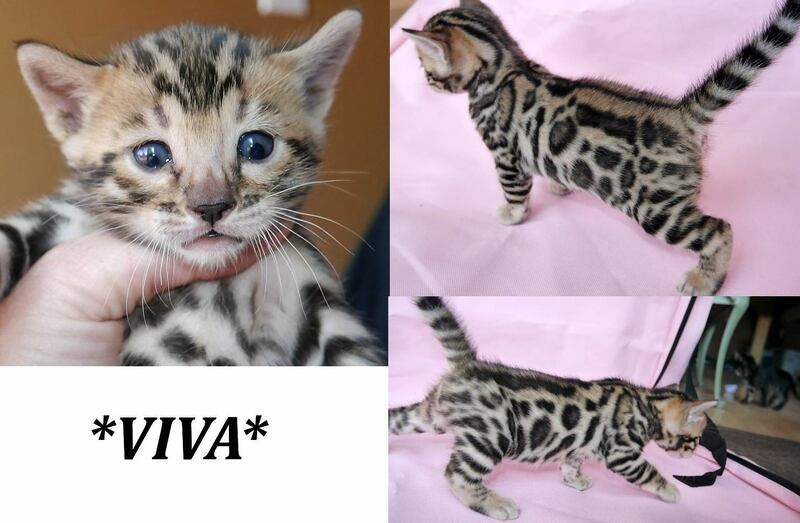 You can already see how beautiful her face is, and is going to be as she grows into her spots! 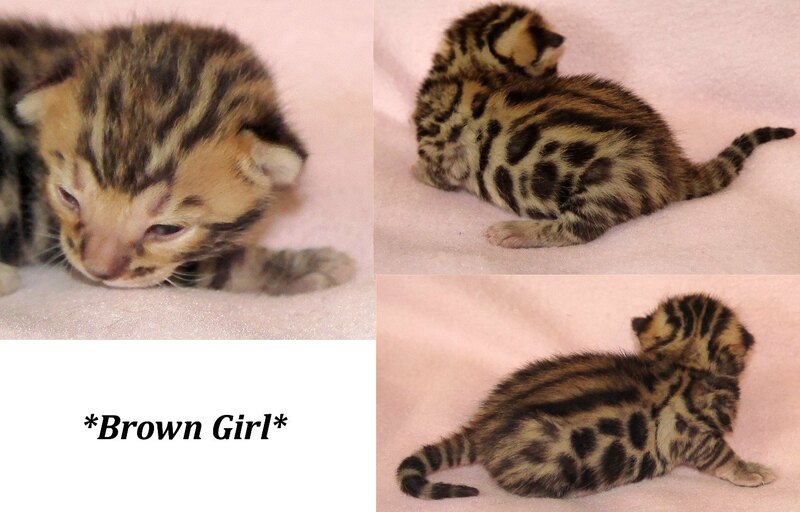 This entry was posted in Bengal Kitten Gallery and tagged Bengal kitten, Brown spotted. Bookmark the permalink.